Boys and girls, I am at a cross road. My sea lancer needs a complete hull strip and repaint. She also has a hooked bottom that prevents me from going more than half throttle before handling issues set in. She has no fronts seats. 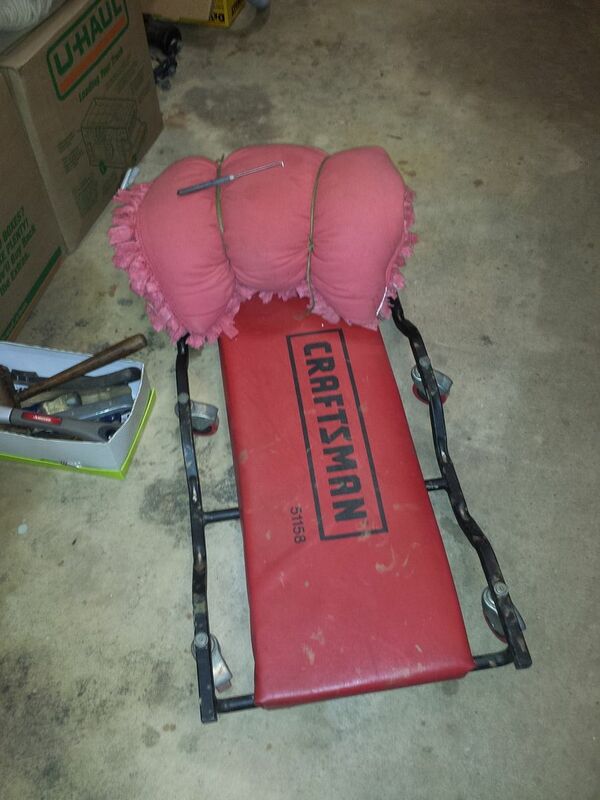 When I got her the drivers seat was gone and replaced with a horrid sorta seat that was crap when it was new. Two seasons ago the passenger side flip seat broke off the base. So I am using some free standing deck chairs. The rear seat was starting to weaken around it's framing so I removed it so as to prevent any further damage (with the intent of rebuilding it). The windshield is loosey goosey and needs to be refastened to stiffin it back up. Needs new floor panels. Thats the easy stuff. The frames are only so so. In the bilge I'd rate them individually as 80% to 50%. Up the sides of course they are solid. 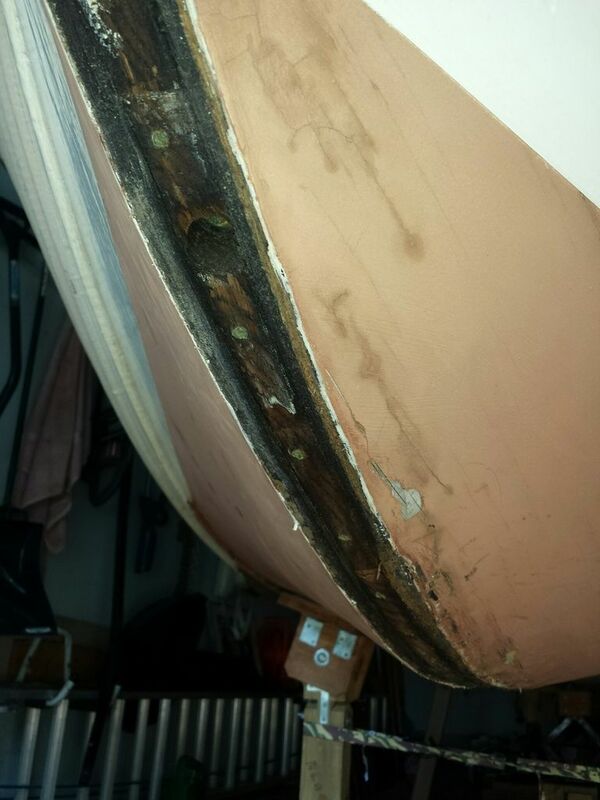 The garboard panels are in need of replacement, especially at the bow, de-laminated in the bilge (I did arrest that issue by treating the bilge with smiths' penetrating epoxy sealer when O bought the bought on 2006). 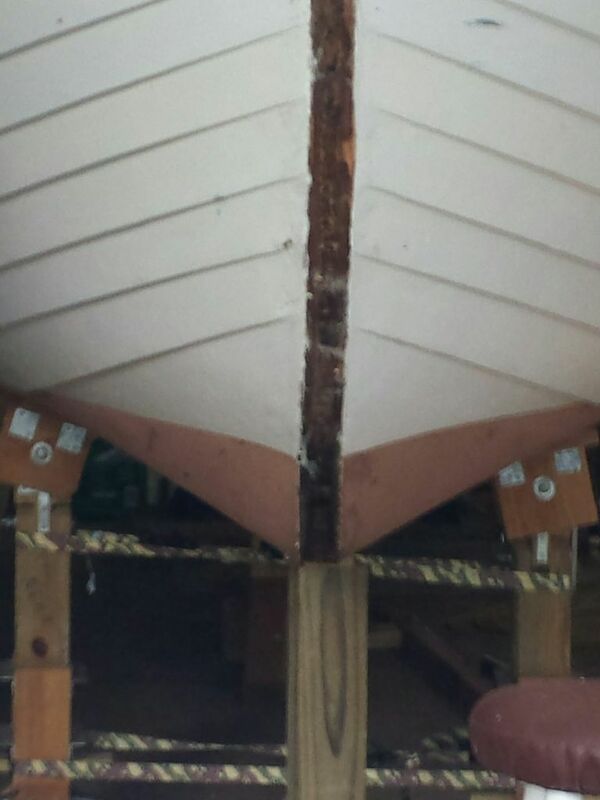 I've patched the bottom, caulked the keel and stem caps, all of which needs to be redone as she leaks alot. The Keel, Keelson, and as far as i can tell the Stem, are all solid, but who knows what they will look like from the bottom with the garboard panels off. The previous owner had a guy "restore" her and he did more harm than good. 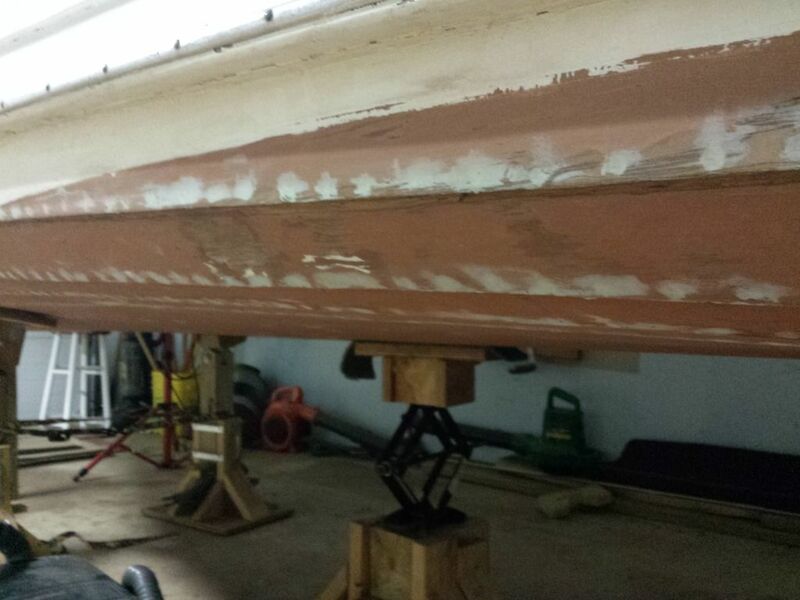 He painted the inside of the hull, and made some sort of repair to the transom with epoxy, so who knows what is under there. However, there is no sign of weakness or movement in the transom or with the repair. His work on the bright work is mediocre at best. 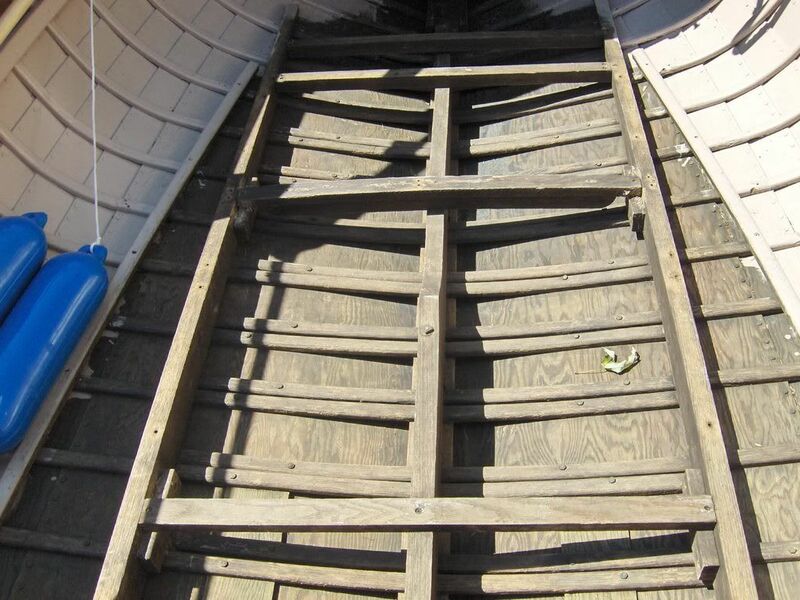 On the plus side, the windshield, all the strakes, including the garboard strakes, upper keel (inside the boat), The deck beams and deck, The splash well and gunwhales, are all in excellent shape. Mine is a Cortland boat. The construction is different from a typical boat of that era and makes for a much more complicated restore, or so I think as I sit in the boat staring at the bilge and pondering the approach and the amount of work. She as a three piece keel consisting of an inner lower, inner upper, and the outer keel. The frames run from the gunwhale, in between the lower and upper inner keels, and continue to the sister keelsons on the other side. 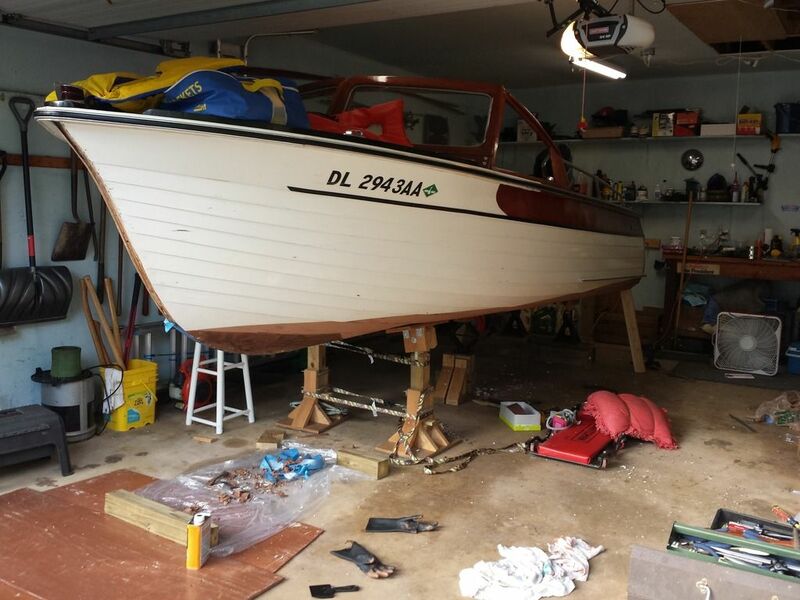 Embark on a minimum 3 year rebuild, that I am not even sure how to approach given the construction of this boat. 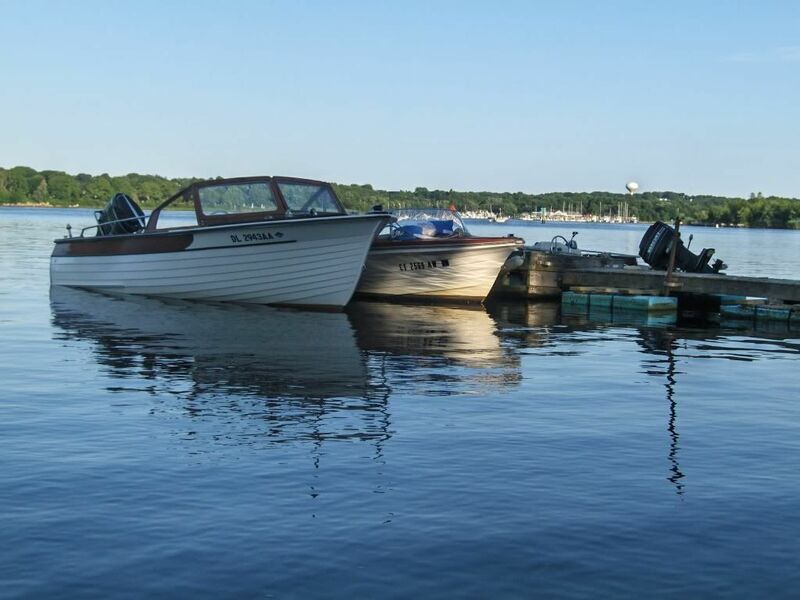 Replace the frames, repair or replace the keel/stem etc as needed, New Garboard panels, likely repair or replace the transom. strip the outter hull, fare, repaint, And all the other work noted above for the seats, windshield etc. A BIG time/effort sink would be removing all that damned paint on the interior of the hull. 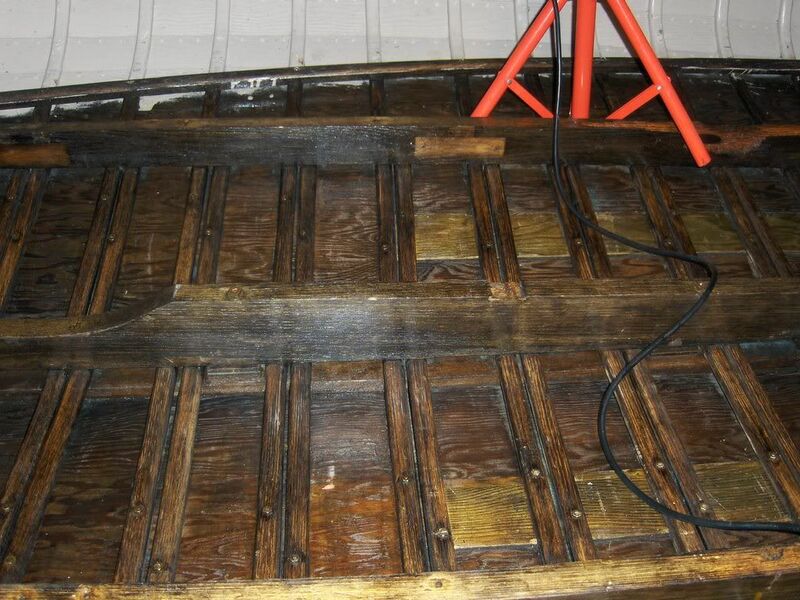 Cortland boats used Nut/bolt fasteners for the planking, one every two inches, that stand proud of the surface. Gotta sand around each one of them after stripping the paint. Or Flip the hull for a redo. 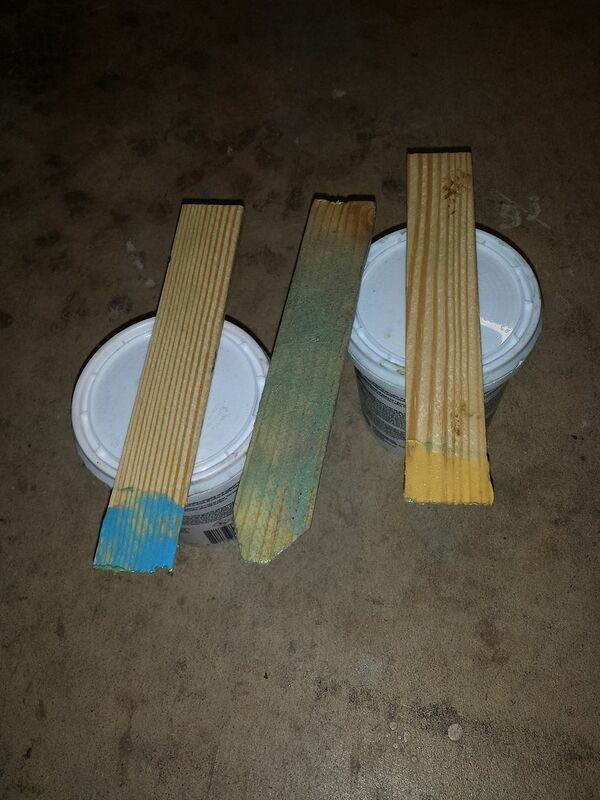 Strip the paint, redo the fill of all the bolt/screw heads, fare the planks, repaint. In the process, with the outter keel and stem off, fare out the hook with Smith's Fill-it, then glass the garboard panels bow to stern (no glass on any of the planks). Reattach the outter stem/keel. Repaint the interior (vs strip and refinish), and then the work noted above on seats and windshield etc. Or. Run her out this season, leaks and all, and send her down the road for someone else to care for her. What to do? As the caretaker of this boat, I feel this to be the last season of use before work needs to be done. Last edited by thegammas on Sun Aug 16, 2015 6:05 pm, edited 1 time in total. Pete, Since rebuilding boats is not your hobby nor do you have the experience to jump in and tackle the job, I'd suggest you find a new owner for her and move on. It's not only that it needs "normal" repairs, but previous owners have changed things and mucked up the originality. I see boats all the time on ebay that are over-priced and of course, they do not sell. Once in a while there is one for a starting bid of $2500. and most of the time it doesn't even get a bid, so I think they are out there for that money and they are not trashed by unthinking owners. So my advice is buy the best boat you can afford and start enjoying it. Thanks Verne, I've come to the same conclusion. Wooden boats and woodworking have always been my hobby, even as a teenager. 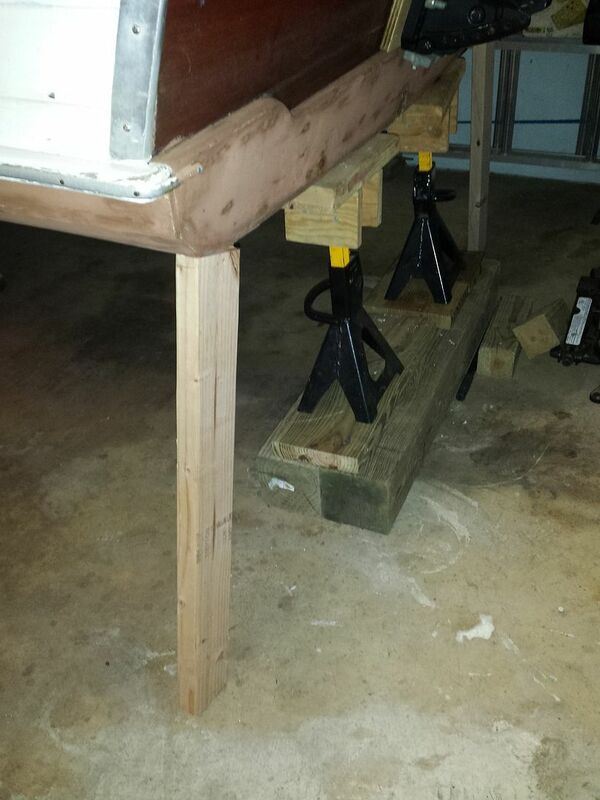 I have a full wood shop in the basement, have built furniture, etc. I know I could do the job and do it quite well. My one brother is a hobbyist as well, and loves wooden boats. He jokes that i enjoy working on it more than using it. His thing is restoring Stanley Steamer Cars with a local museum. So I've decided to do the bottom correctly so that I can safely use her the rest of this season, Here in Delaware our season is quite long, I've been out as late as Thanksgiving in beautiful sunny weather. I'll remove the outer keel/stem, clean up the garboard panel seams, and take a look at the underside of the keel/stem. 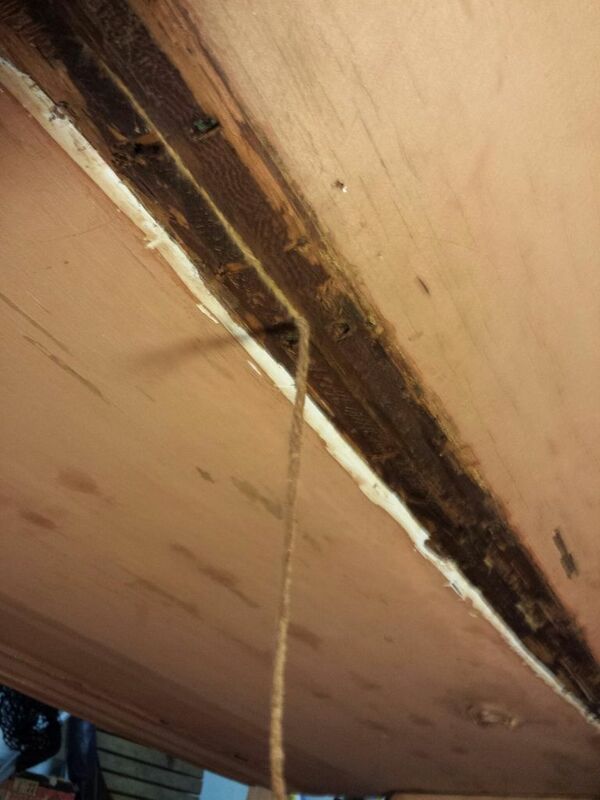 Repair any major issues, then put it back together with the proper caulking. At the end of the season, I'll make the final call, but me thinks I'll send her down the road. I'll be more interested in finding a reliable owner than getting alot of money out of her. Yup! That boat is a great example of a few different things. You can get alot of boat for the money these days. That e_tec Evinrude is worth the starting bid even if it's dead (notice the big chunk out of the prop). It's also an example of owners making changes that don't fit the boat, i.e. 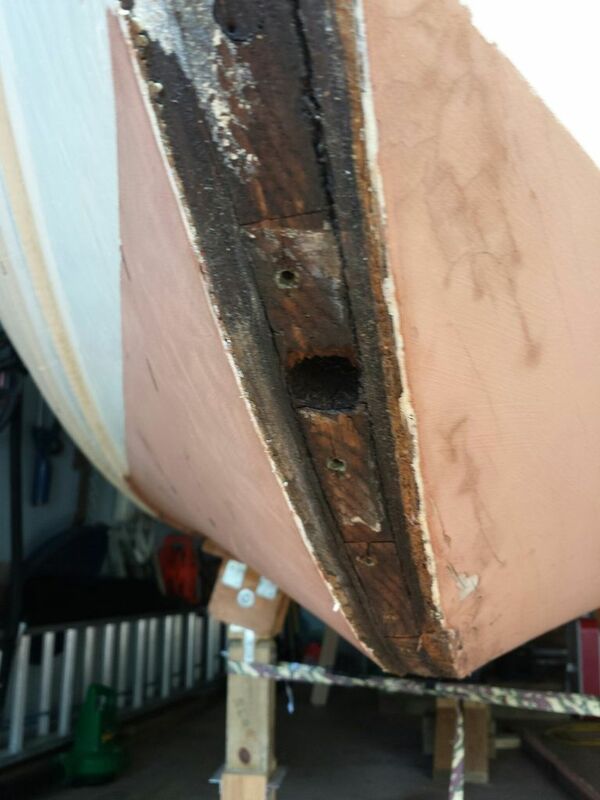 that transom looks to be a fiberglass replacement? And you can't see what the floors & frames or bottom look like. what's with the big metal tanks (?) in the interior. And finally, the interesting boats are always far away! Putting the boat up on stands today to redo the bottom. Started the Redo of the bottom. I'll drop updates from time to time. Gotta tell someone about it! (other than my one Stanley Steamer restoring wood boat enthusiast brother). I've got her off the trailer and up on stands and have commenced removing all the existing caulk from the 2007 redo and a touch up I think in 2011. I'll be removing the keel and stem caps. Opened up all the screw and bolt holes in keel/stem caps. Judging by the filler etc, i'm fairly sure I the first one to take them off. The keel cap is attached with 7 large screws (6 shown below, stern to stem looking left to right) with a corresponding large bolt next to it. Interestingly, the bolts are split at the end. The nut is screwed on, and then a wedge was driven in much like you would a handle for a hammer. or at least thats what it looks like. Haven't tested trying to take the nut off one of them yet. As mentioned earlier it was attached by 7 screws and 7 bolts. The bolts were inserted through the Keel cap, through the lower inner keel, and through the main keel. I had thought that there was a wedge driven into the top of the bolt to act as a nut lock. After removing the bolts (which was really easy) it became apparent that what they did was install the bolts, and then cut them off (likely with bolts cutters?) just above the nut. To remove the bolts i backed the nut out until it was flush with the top of the bolt and rapped it with a hammer to break it free. 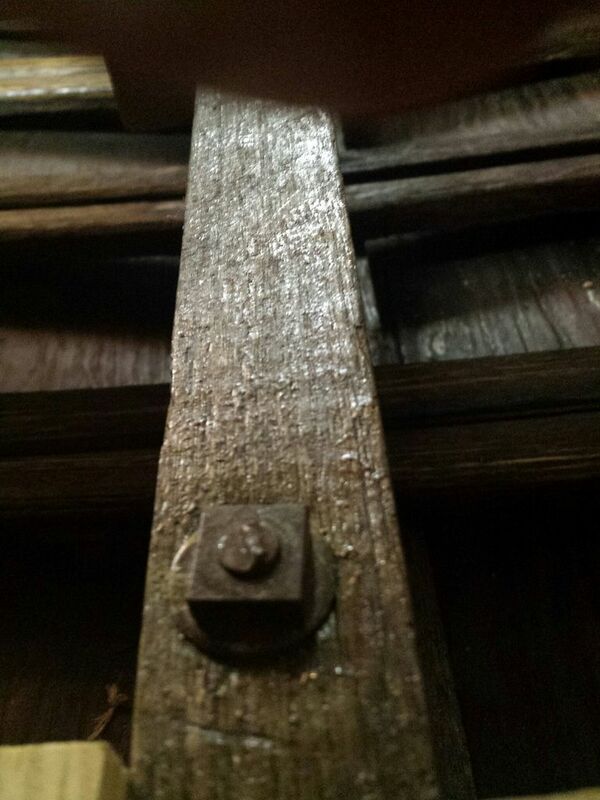 Then took the nut off, and used a long carriage bolt of a smaller diameter to drive the bolt out. Both the nuts and the screws are in very good shape, and as near as I can tell so are the holes. I was very pleased with what I found under the keel cap. 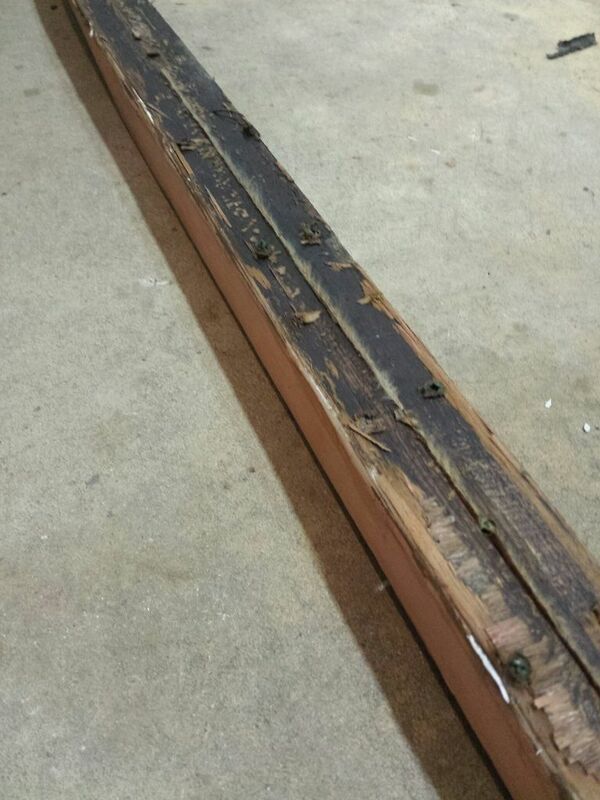 The gar-board panel seems are in MUCH better shape than i was expecting. There is one area of about 8 inches on the hull side of the cap where the wood is noticeably soft. The corresponding area of the gar-boards delaminated when I removed the cap, and are a bit soft, but not past the surface of the cap. In the one picture, you can see some string hanging down. This cord was laid into the seam between the gar-board panels (Not sure why, maybe as a filler), but the cord looks and feel like it's brand new (well, in most areas). 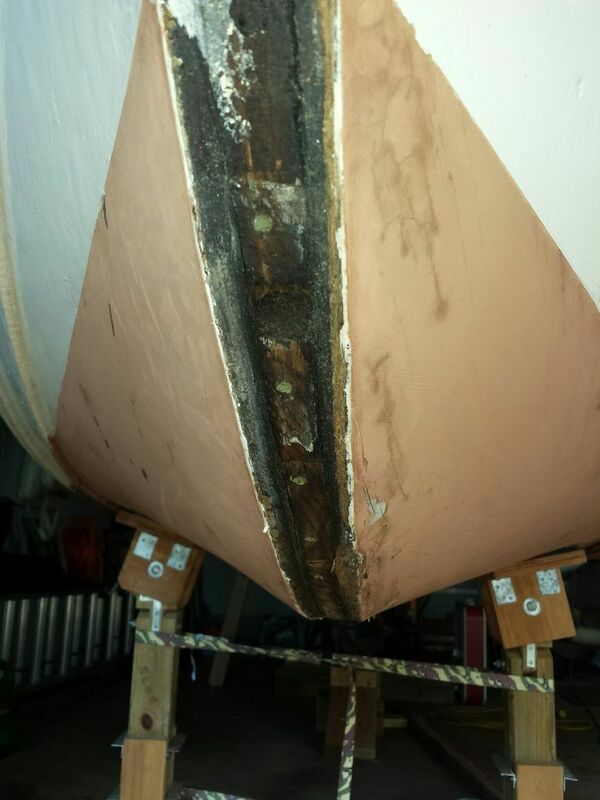 I was also able to confirm that a layer of sealant of some sort was laid onto the inner keel when the garboards where install, and also onto the keel cap when it was installed. Working on removing the stem cap today. I expect to find more damage there and am fairly sure I'll have to build a new stem cap. Spent some time this Saturday past removing the outer stem (stem cap?). Once again very pleased. Both the plank ends and the visible components of the inner stem look and sound (i,e, hammer raps) to be solid and in good shape. The stem cap however will need to be replaced. The split at the top is not so much a concern (repairable), but down at the turn of the stem and back to the keel cap is no good. I'll either laminate a new one, or steam bend a solid piece depending on what my local hardwood dealer has available. My boat has always favored the Starboard side as it moves up to plane. By that I mean it wants to roll over slightly on to starboard. As the bow comes up, that diminishes. I've always assumed it was the uneven degree of hook on the bottom, but take a look at this picture of the bow from dead on. Not thinking there is much to be done about that. 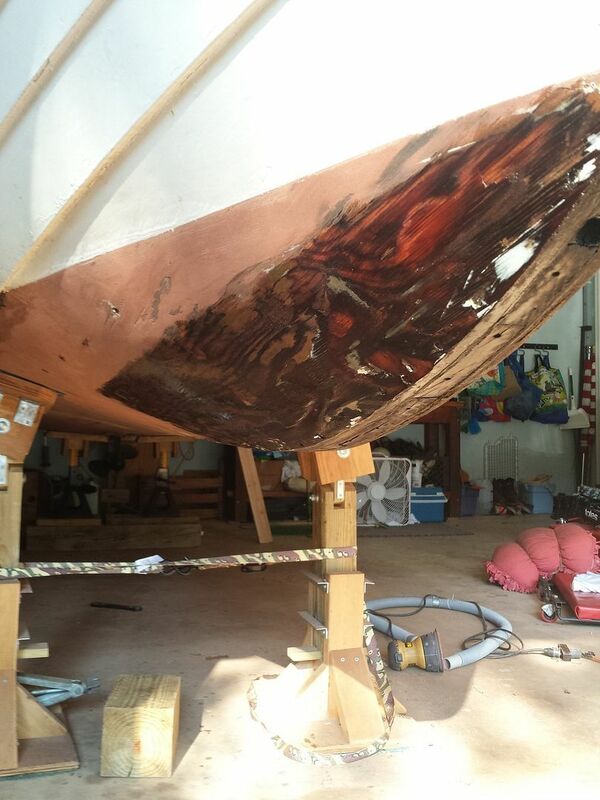 On exterior areas of the hull where the stem and keel caps attach, scrape away all the original sealer/filler, sand to clean wood. Same treatment on the keel cap itself. Once the CPES is cured, fill gaps and voids with TotalBoat or Smiths Fill It (I've had excellent results with Smith's) and fair to smooth. 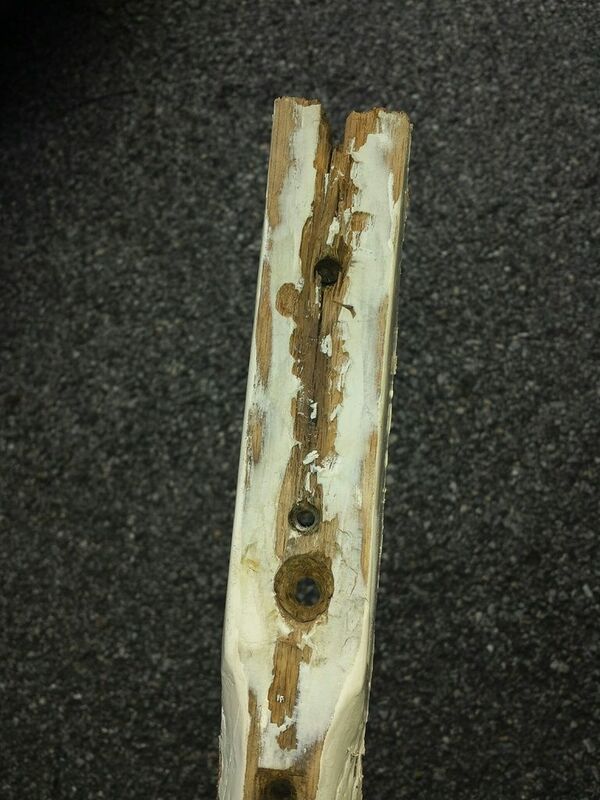 Reattach the Keel cap using the original bolts (all in very good shape) and new screws, same locations. The stem cap will use the same bolt holes, but differnt screw locations, or should I just use slightly bigger screws in the same locations? After the 4200 is cured, caulk the seams along the keel/stem caps. Thoughts on the approach from you more experienced guys?? Work continues on the bottom. Pictures to follow. Using a variety of tools, I’m about 75% done cleaning off the material and cleaning up the wood that was under the stem cap and keel caps. 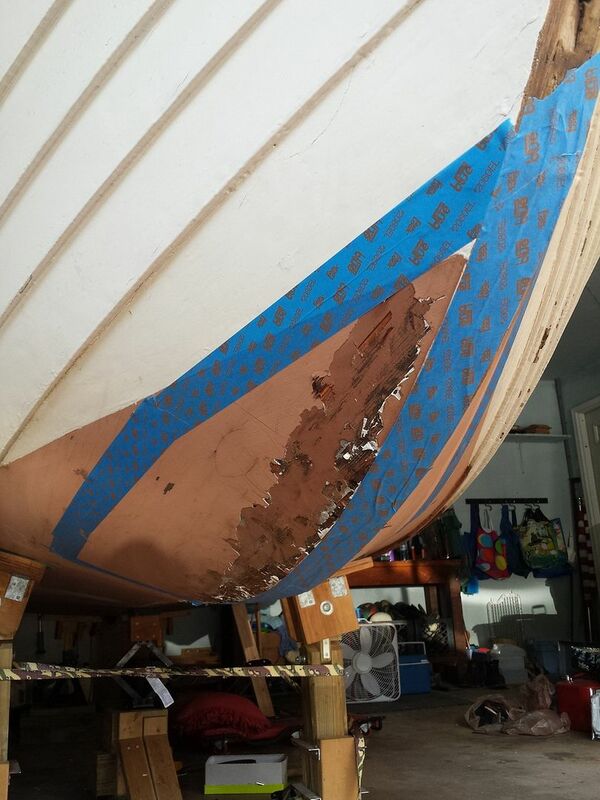 I continue to be pleased at the limited amount of damage to the wood, garboards along the keel, and plank ends. 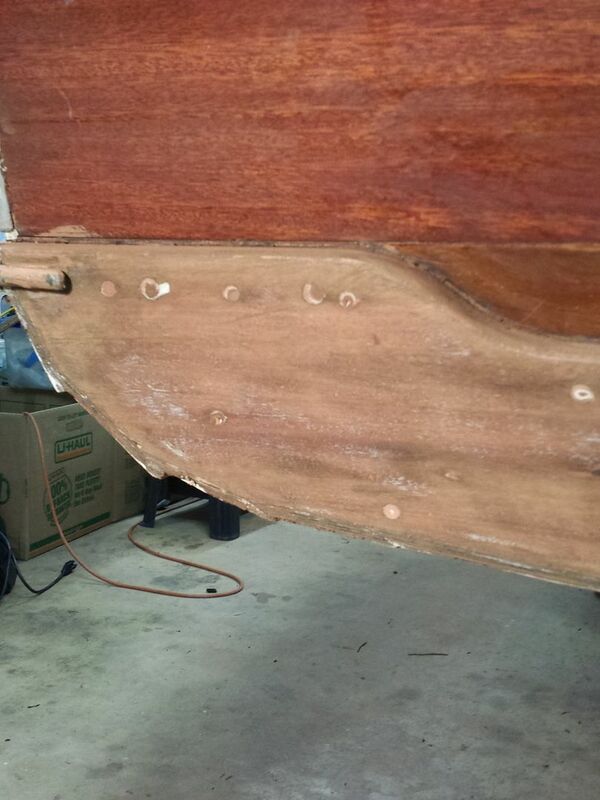 Along the garboard seam under the keel cap, I've had to remove very little to get to clean, good wood. In only a few spots have I had to go through the top ply. The plank ends are in excellent shape. 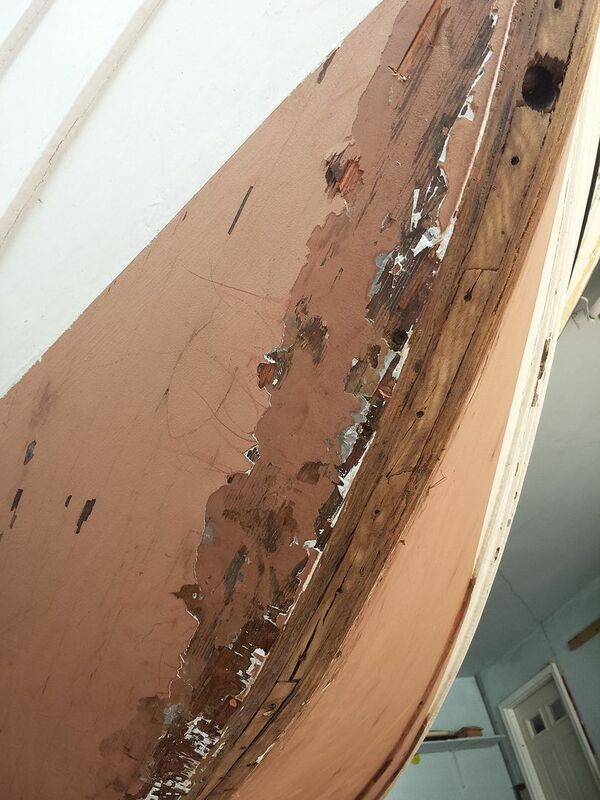 The most damage is on the Starboard garboard panel at the bow. 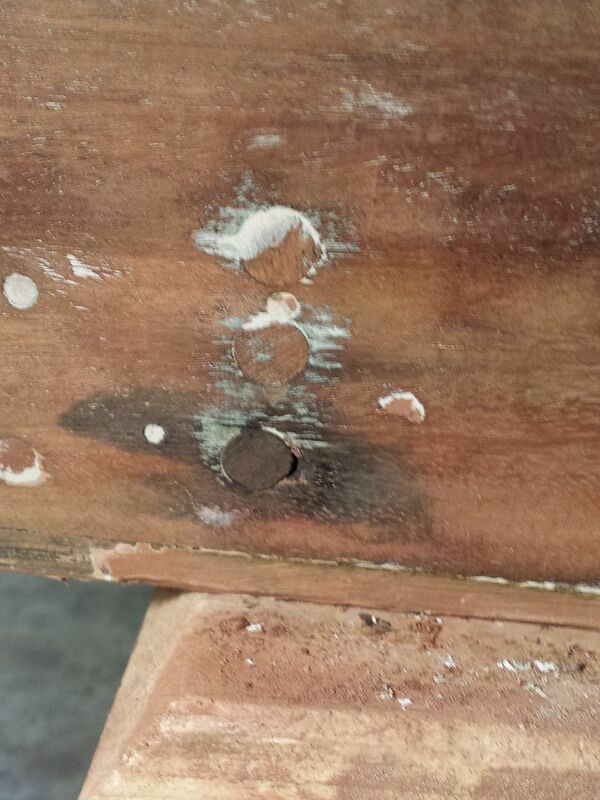 I am finding old repairs and delamination. I’ve stopped working that area for now. 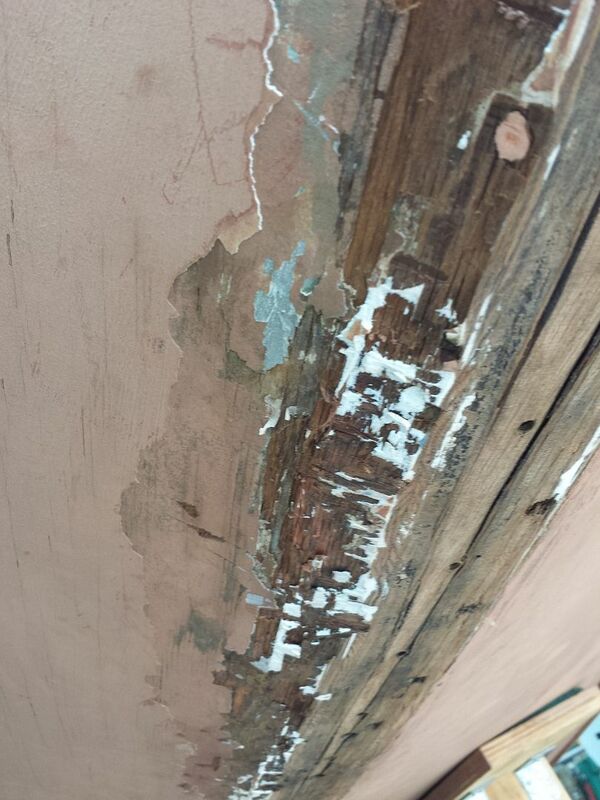 Plan is to strip the paint in that area for a clear view of whats what. For now, I’ll repair those areas (as long as I can do so with confidence that they pose no structural or water intrusion risks). Chisels, small screw drivers used as chisels, a variety of Sharpe picks, the Dremel, orbital and belt sanders. Removing the dirt, debris, old caulking, screw hole bungs or filler, and a material that was payed into the top ¼ of the stem, on the outside, apparently to fill an area where the planks ends stand proud of the inner stem, leaving an valley of sorts. This material was hard, but not brittle. Sanding didn’t work well, so chisels etc. I found that the chisels are better slightly dulled so that they are not so aggressive with the wood. But not too dull, as a dull cutting tool of any kind is dangerous. Also found that my old wood mallet was better than a standard hammer as it is much lighter. The Belt sander with an 80 grit belt has proven the most effective in cleaning up the Garboard seams and the plank end/inner stem. ¾ speed so as to avoid any unintended trenching/gouging of the wood. Frequent stops to inspect results so as to not go too far in any one spot. Speaking of safety; Safety glasses/or full face shield, respirator, and hearing protection are a must. Any sanding is done with the respirator and hearing protection on. I don’t want to be inhaling cooper paint. Not sanding areas of paint that I did not apply as to avoid lead dust. The boat is supported at six points at all times, and I check those supports at the start and end of any work. Work continues on the bottom. 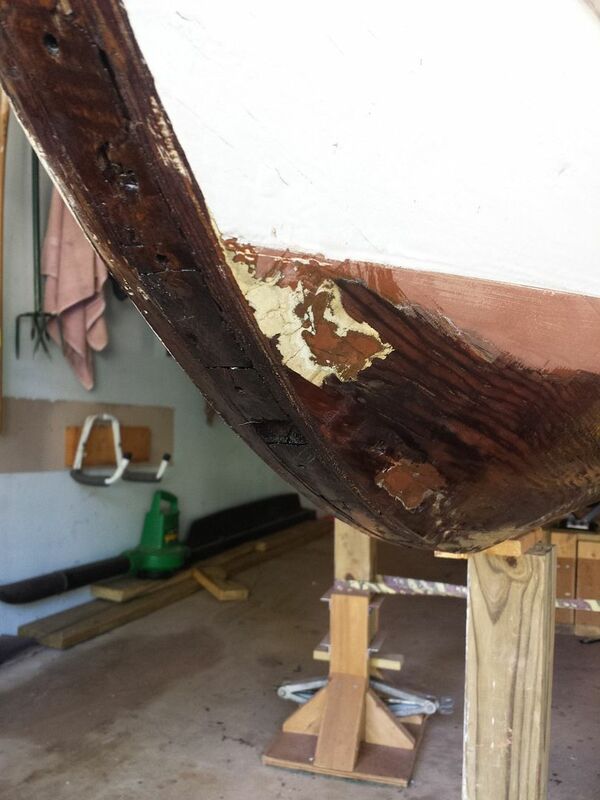 That stuff they payed on the keel cap and over the garboard seam is tuff to remove. It sticks like crazy and when being sanded with say..... a belt sander.... it heats up and gets all gummy and gums up the belt. So you have to move around alot to keep the heat down. 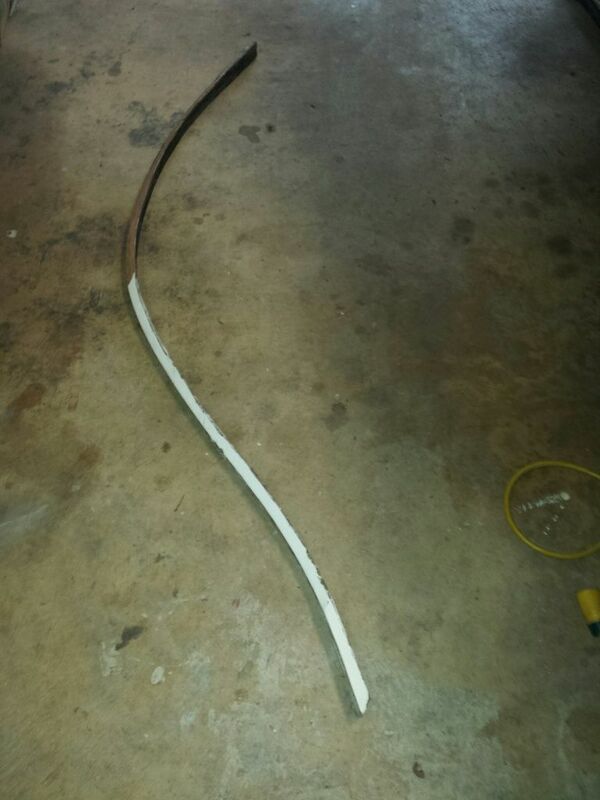 I found that I could hold a wire brush to the belt while it was running and it would clean it off nicely. The metal strap that covers the last 18 inches or so of the garboard seams. 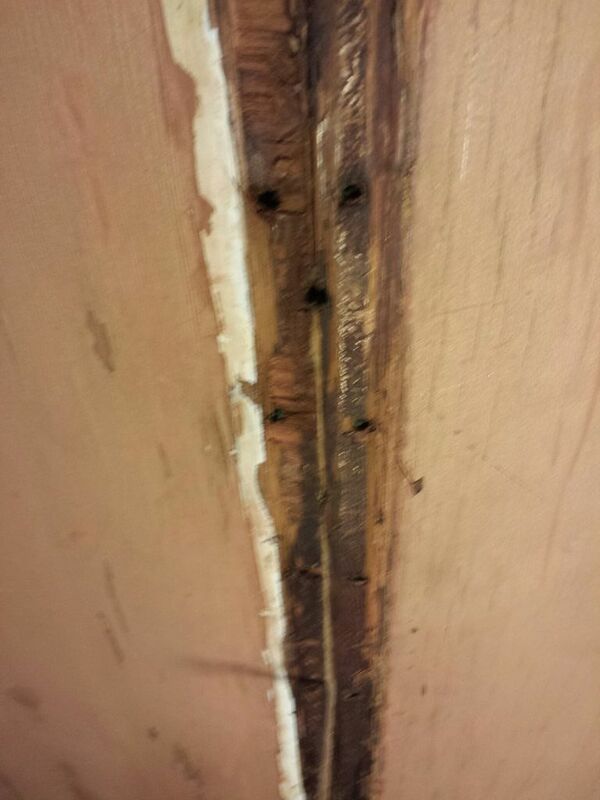 In this pic I've already removed the caulk that was around the edges. This area didnt leak but I am doing so much on the bottom I figured why not redo this area as well. The damaged area at the turn of the bow. The other side as some, but much much less. "Bungs" removed. Really just putty or caulk. The original putty pops out with no effort. I had filled many others with caulk, and those require a little more of the pick. The work area. From time to time I stop what i am doing and clean up and organize the tools. IN the end it saves way more time than is spent doing so. When not working on her, there is another support under the bow. And note the 2X4 at the stern, there is another on the other side. These are wedged under the boat to prevent rocking. The engine is still on the boat and I keep it down with a support under the skeg as well (when not working in that area). I have Power tilt so it's easy to do. The most important tool. Comfy! I plan to reuse the original carriage bolts/nuts as they are all in very good shape and of course sized just right. I want to use new screws for both keel/stem caps though as the heads of many of the original screws were damaged during removal (if only slightly), and because I'd like to get a solid refastening. On the keel cap, the screws all backed out very easily, and a few spun in their holes. 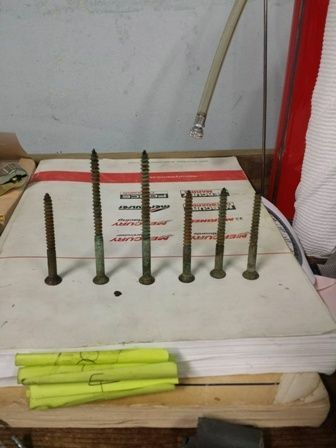 I read some where that it is common for the threads of the screws themselves to slowly chaff out the screw holes as the pieces they are fastening move. This can then allow water in, and compromise the wood around the screw still further. 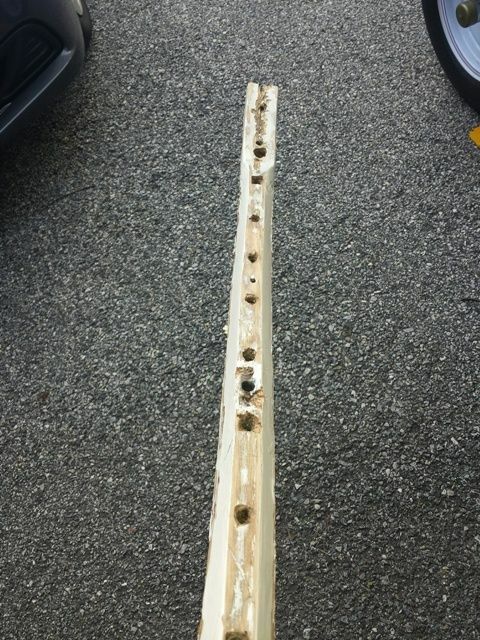 So I want to drill out the existing holes slightly as a method to clean them out and get to good wood, and then use a larger screw for a solid fastening. On the stem cap I only need to replace a few screws that were damaged upon removal (they were difficult to get to turn out). Made some progress since my last post. Follows is my typically verbose update. Please don't hesitate to opine, counterpoint, or correct on what follows. 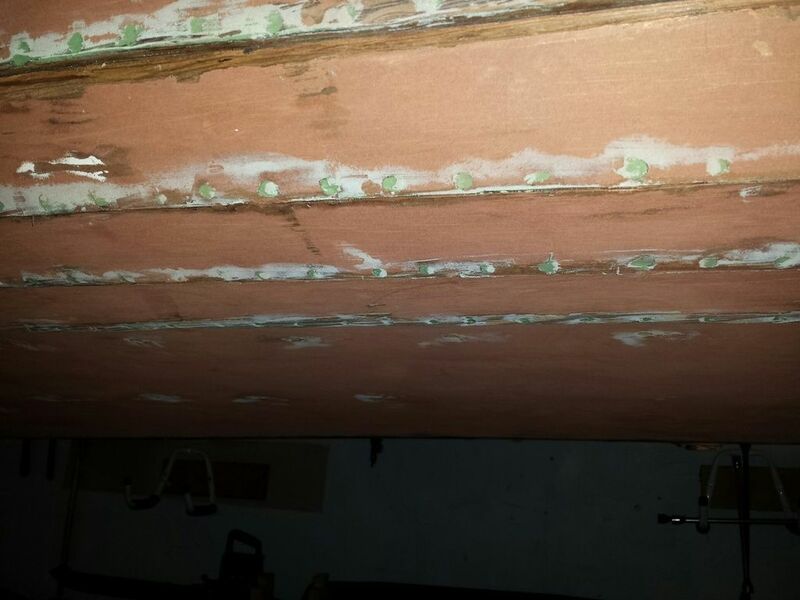 I've removed all the filler and/or caulk from the screw holes in the planks below the water line and the Garboard panels, a couple of hundred I suspect. I'm refilling them with "Total Boat" epoxy filler. Filling them in at least two passes (fill, let dry, sand away the excess. rinse and repeat). Trying to fill the holes completely, leaving no air trapped in the hole, and fare to the surface in one pass never works for me. I'm using "Total Boat" 2-part epoxy filler. It works well and sands easy once dry. Previously I've used Smith's 2-part Epoxy -filler, and give that product the nod over Total Boat. Smith's is easier to work, sand, and has performed excellently over 6 years. Also scraped, picked, sanded, scraped, etc etc the Garboards at the turn of the bow to remove all the paint and questionable wood and any previous filler, save a few deep spots where the filler was sound and i didn't want to open an old wound. Coated that area and the garboard seams all the way to the transom with "Total Boat" Clear Penetrating Epoxy Sealer (CPES). I'm Disappointed with this product. It does not penetrate very well (all areas were sanded to clean bare wood), leaving a hard glossy shell of a epoxy behind. I did not use any thinner which the manufacturer says to do for "greater penetration", but geez. True, i was coating plywood that has but a thin layer of wood before a layer of glue and thus not much to penetrate, but it didn't penetrate to my expectation on the solid wood of the inner stem either. Maybe I over applied. No harm though as the goal of sealing that wood has been met nicely, and all this epoxy will be behind the Stem and Keel Caps or under paint. 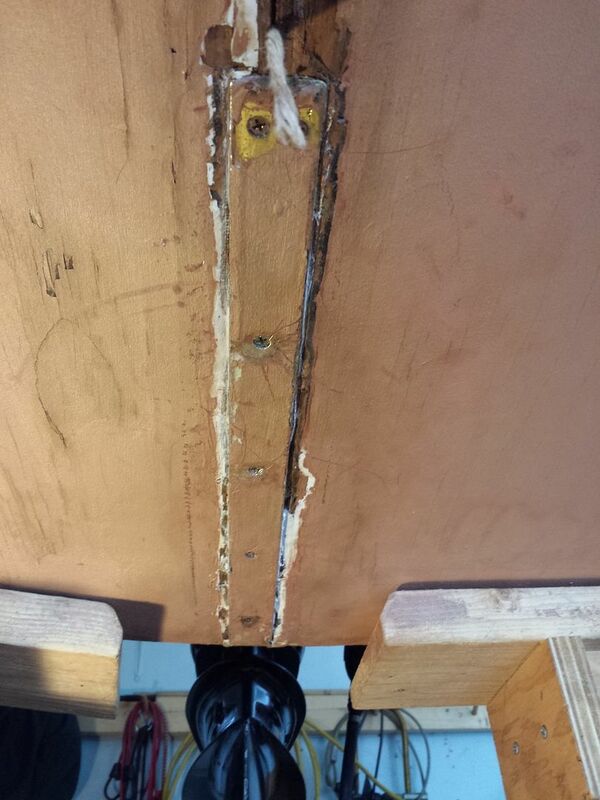 When I first got the boat back in 2006 I treated the entire bilge with Smith's CPES. It penetrated deeply without leaving that hard shell of epoxy on the surface, including the plywood, and this was what I expected from Total. I applied smiths heavily and you would just watch it disappear into the wood. Total Boat has no VOC's, but you still need to wear a respirator. With Smith's, you either wear a respirator or die. I give Smith's the nod. I've also removed all the caulk that I and those before me laid into and along the edges of the planks below the water line. I had used 3m4200 and it was in like new shape after 6 years. But, since I am redoing everything else I figured why not that as well. The best tool for this was a very sharp paint scraper. That gets most of it, then I used a smaller scraper, then my picks and sharp chisels to pull out that which was in the seam itself. 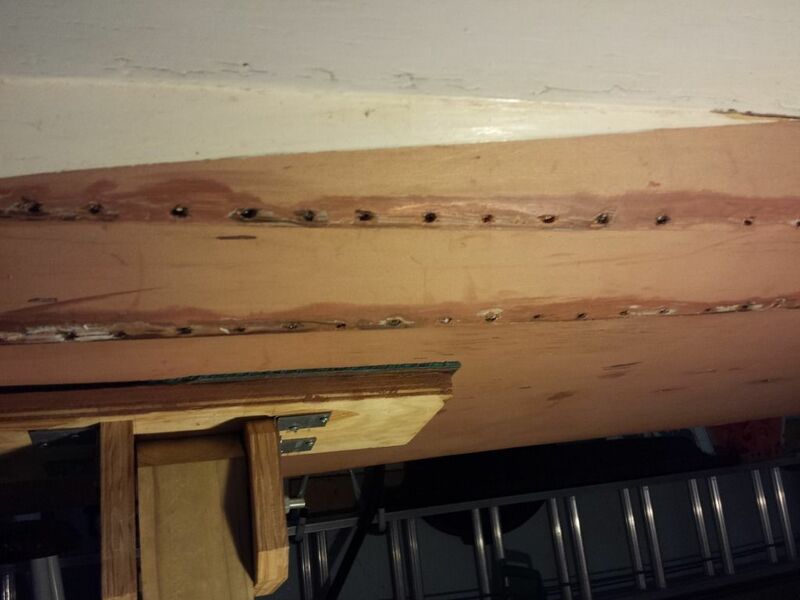 Left to go is filling of the screw holes on the starboard side. Filling and faring the garboards at the turn of the bow and the garboard seams, prepping the keel cap to go back on, re-caulk the plank seams, build a new keel cap (steam bent or laminated to be determined), install the stem and keel caps, Repaint the bottom, reinstall the floors. I'm doomed. Or at least this boating season is. 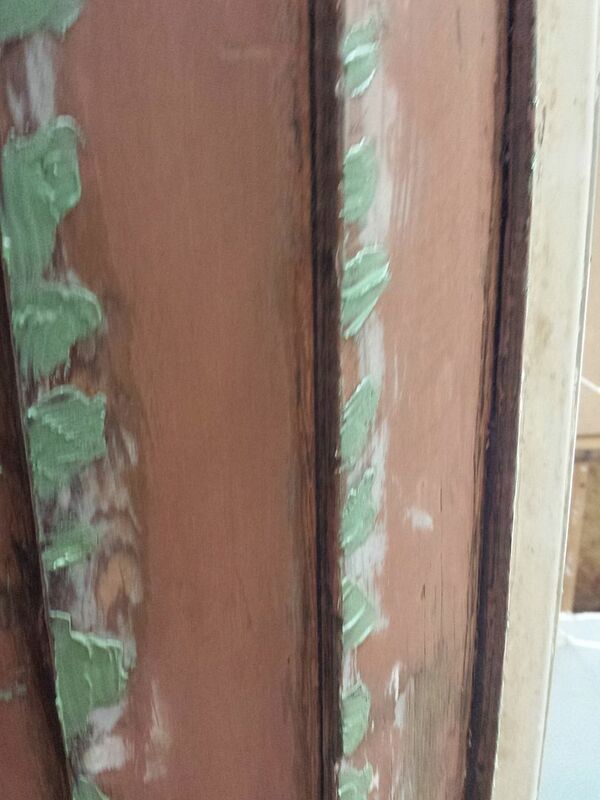 Second second pass of the filler prior to final sanding. 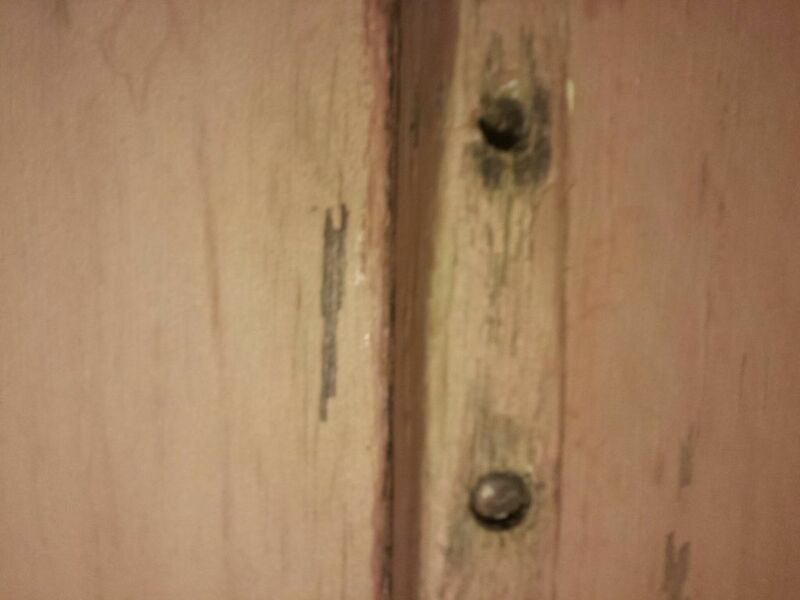 Note the seams along the planks are cleaned of caulk. Once the hole filler step is finished, I'll sand off the roughness and more of the existing bottom paint prior to repaint. The epoxied garboards. Note the filler that was not removed. The expoxy covers and seals this repair nicely, and thus I suspect makes it quite permanent. Tools of the trade. 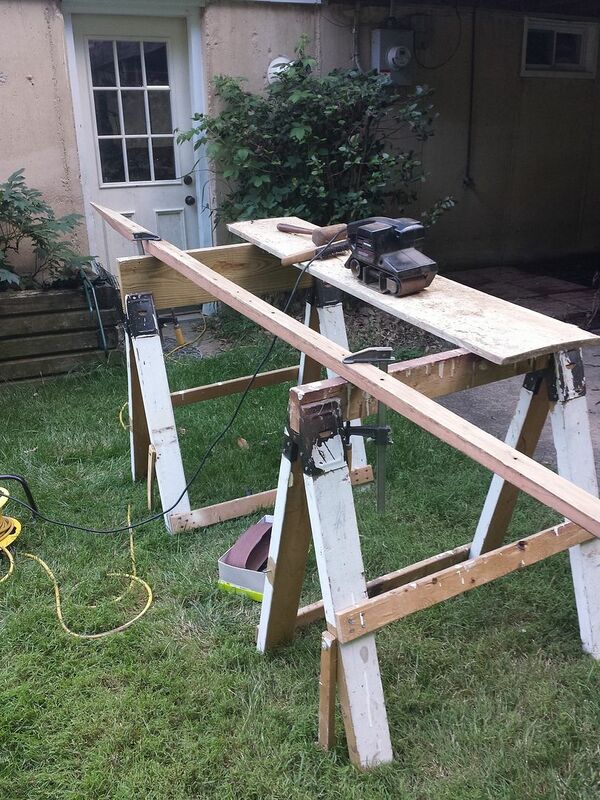 Wooded shims work great, are super cheap, and disposable. One for the expoy, one for the hardener, one for mixing (you never want to use the same stick to dip both parts) and a forth for paying it into the holes. The mixing stick isnt in this shot. The application stick is in the center. Another advantage of using shims is that you can easily shape the end for what works best for the current task. Here I have tapered the end to make it easy to push the filler into the hole, pushing out any air. 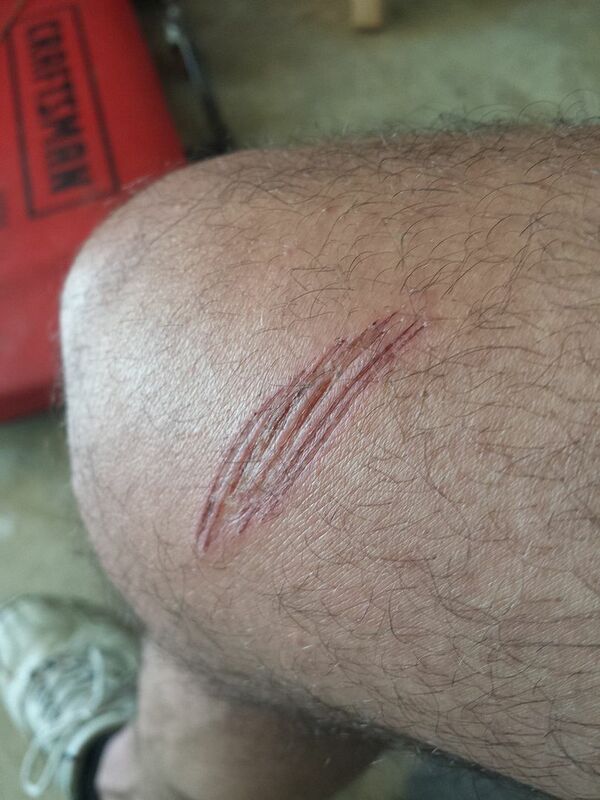 Tip of the day; Dont let the orbital sander hit your leg. Especially when loaded with 60 grit. It'll be a cool scar at least. The end goal. To have my boat in these shots, and not have to think a minute about if she's leaking. 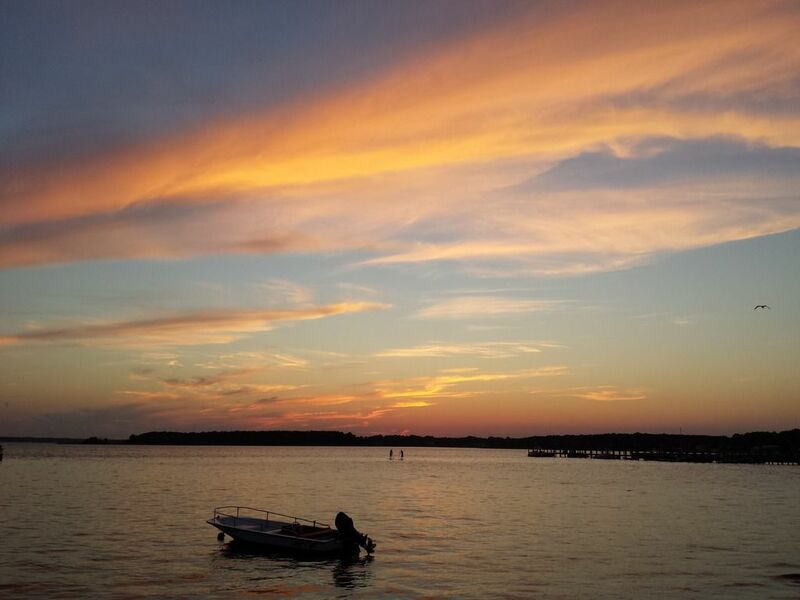 Shot one, Dewey Beach, Delaware, Bay Side, looking at Rehoboth Bay. Shot two, Uncle Bills, Pawcatuck River, Connecticut. a few more pictures. The port side screw holes are complete. Though it looks like the filler isnt completely fare to the surface, they are actually are quite smooth to the surface. The only bad spot. CPES should take care of this. Tip of the Day. I found that Long, smooth pull stokes powered by moving your entire body, vs. just the arms, produces a nice clean stroke as it is easier to keep the blade at the same orientation throughout the pull. I was planning on removing the screw/bolt hole bungs/filler but they are very solid. So am just going to fix the bad spot and repaint. Peter, You certainly do know how to work with that old wood. Don't think the lack of responses to your thread indicates a lack of interest. I'm following every step to learn the techniques which I will need to apply to my own Thompson someday. Keep up the good work and the reporting!